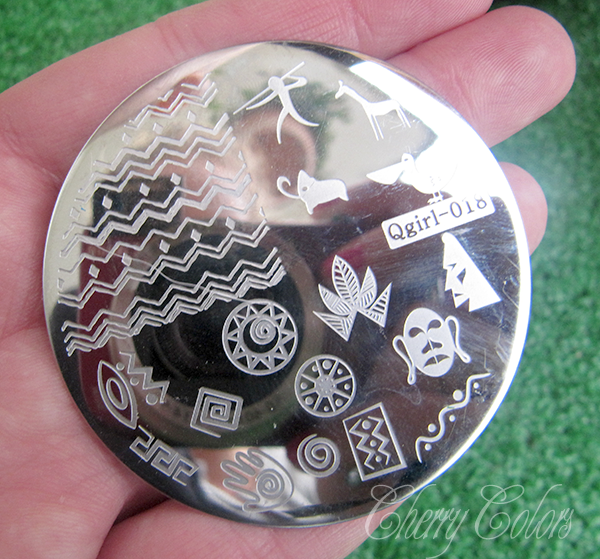 Review: Aztec Stamping Plate - Cherry Colors - Cosmetics Heaven! 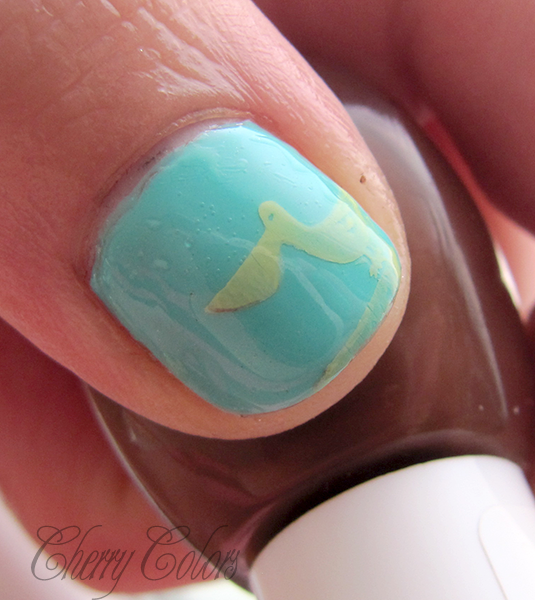 I'm on a stamping plate roll. I wasn't using my plates for a very long time and now I really want to. Today's plate is from the well known Born Pretty Store, that specializes in everything beauty related. 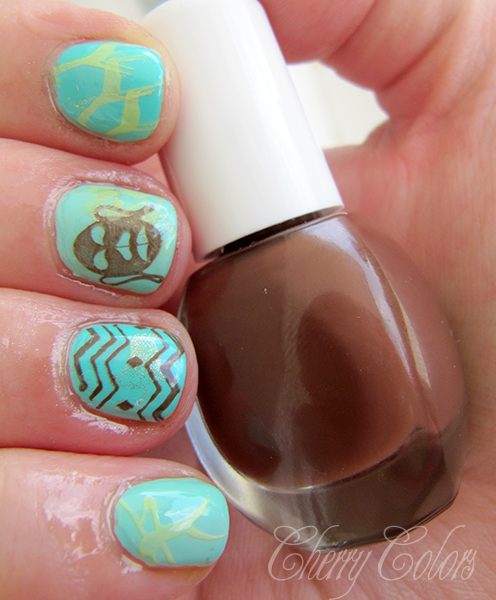 I was sent this Aztec inspired nail plate to review. I must say that the engraving is nice and the images did come out nicely. The mammoth was the one that was a tad problematic and I couldn't pick it nicely up, even when I did it just didn't look right. Kind of deformed? It may be just my "stamping skill", or better said, lack of. 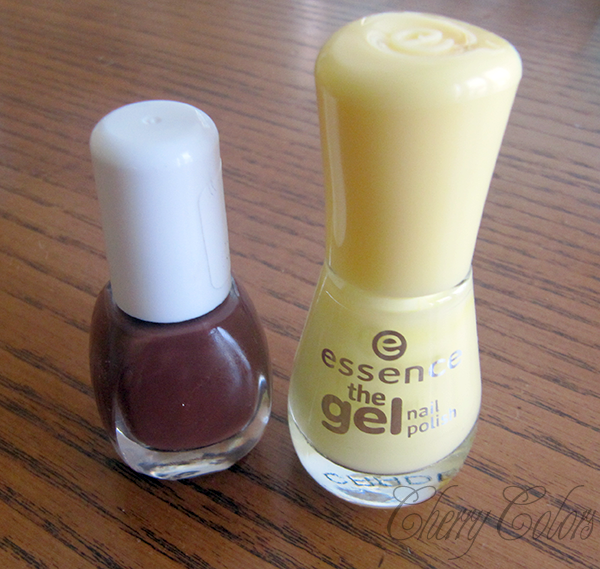 I used these two polishes. 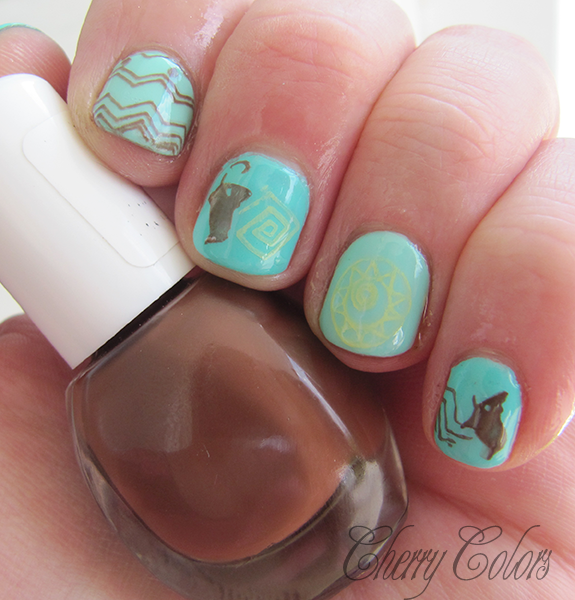 The brown is a random one that the kid picked in a Tuš store (because he wanted to have a brown and pink polish). It's really good for stamping, so kudos kid! I really like the designs on these plate and I think it's one of the nicer plates I own. I will try some more stamping with the mammoth, because it irks me that I can't make it look as pretty on the nail as it is on the plate. Otherwise it's great, I could pick all the designs. And I definitely need a new stamper.